The sinuous hills of the Langhe, an area some 50 miles south of Turin in the region of Piemonte, have been carpeted with vines for hundreds of years: dolcetto, barbera, and above all, nebbiolo. Here the hilltop town of Barolo gives its name to the most famous wines of Piemonte, and perhaps of Italy. 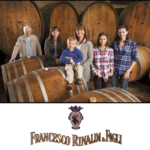 Just outside the town of Barolo and right next to the famous Cannubi vineyard lies the historic cantina of Francesco Rinaldi & Figli, one of a handful of remaining traditional Barolo producers. Grandfather Giovanni created the winery in 1870, after inheriting a vineyard in Barolo and walking there from his native Diano d’Alba. The family began bottling wine under its own name in 1906. 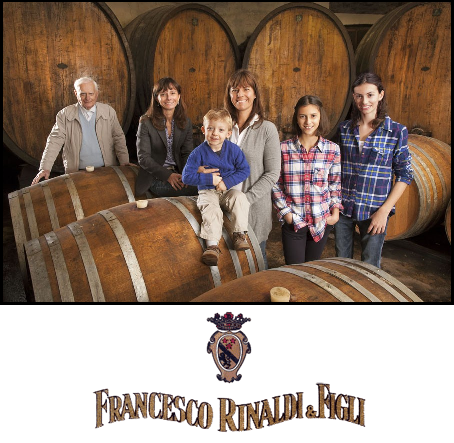 Grandson Luciano Rinaldi and now his niece Paola Rinaldi continue the traditions started almost 140 years ago. They farm 10 hectares (25 acres) of vineyards and purchase an additional 10-15% of grapes from growers with whom they have long-term relationships. 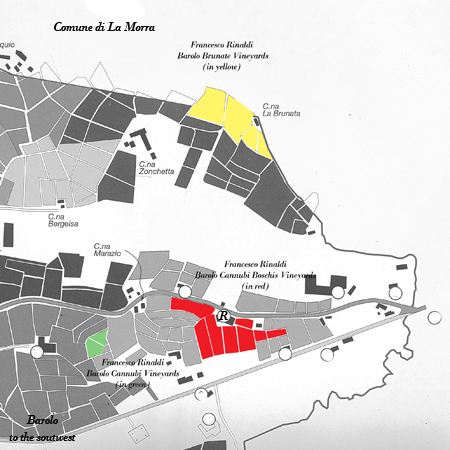 The family’s wines include three Barolos, a Barbaresco, a Dolcetto d’Alba, and a rare Grignolino d’Asti. The jewels in the crown are their two Barolo crus Cannubbio and Le Brunate, two of the most famous vineyards in the entire Barolo zone. The wine-making is traditional – long fermentation and aging in large Slavonian oak barrels (botti) – and impeccably clean. The wines are above all elegant and refined. “Classic” is an over-used descriptor for the wines of the classic Barolo zone, but in this case the description definitely fits.